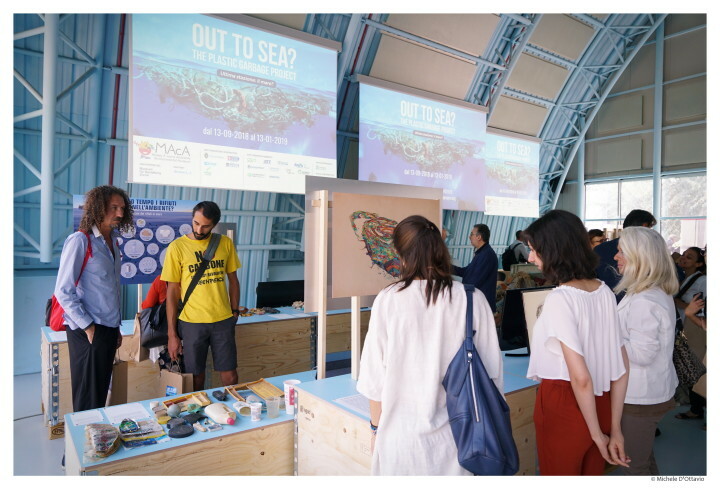 In 2012, the “Out to Sea? 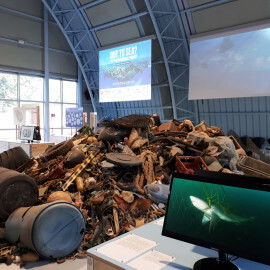 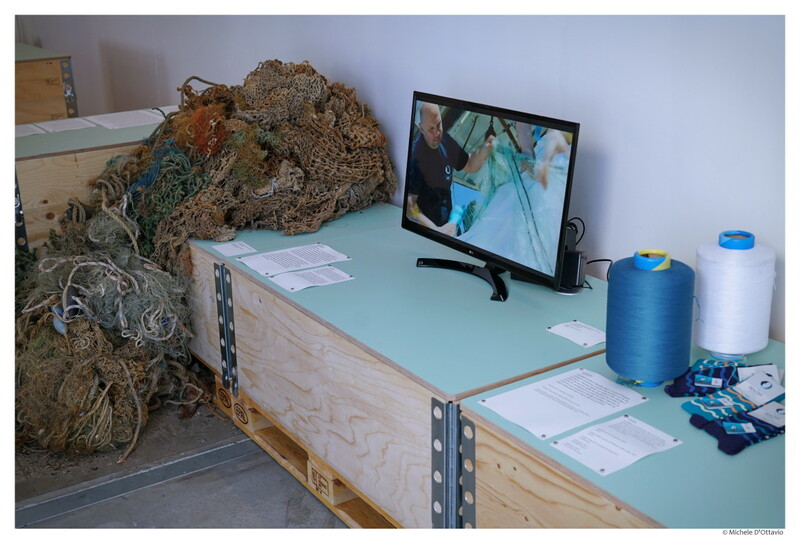 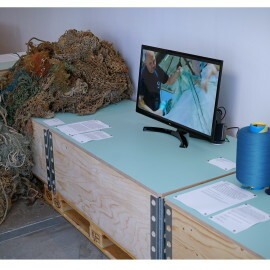 The Plastic Garbage Project” exhibition opened in the Museum für Gestaltung Zürich. 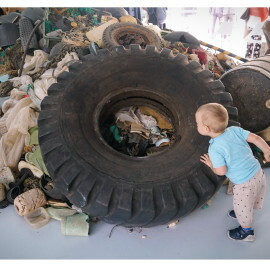 Since then, it has travelled to many countries all around the world. 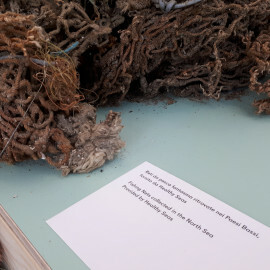 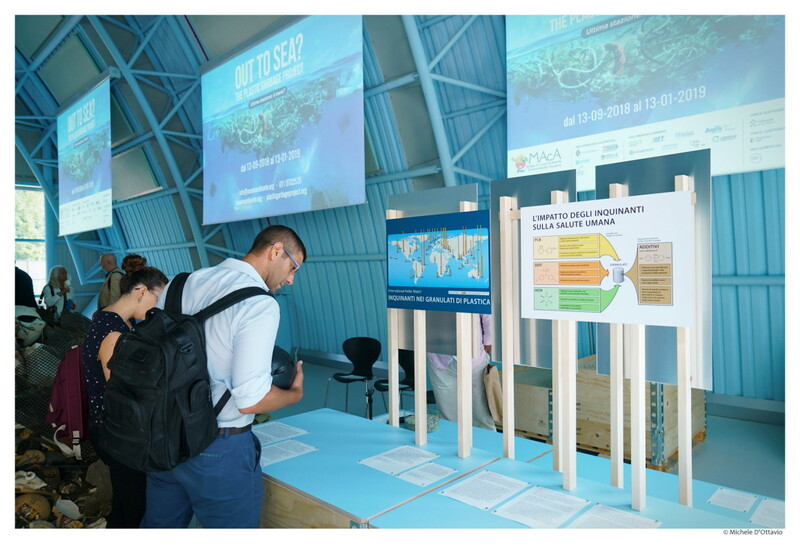 Lately, the Museum updated the exhibition to include Healthy Seas among other ocean conservation initiatives. 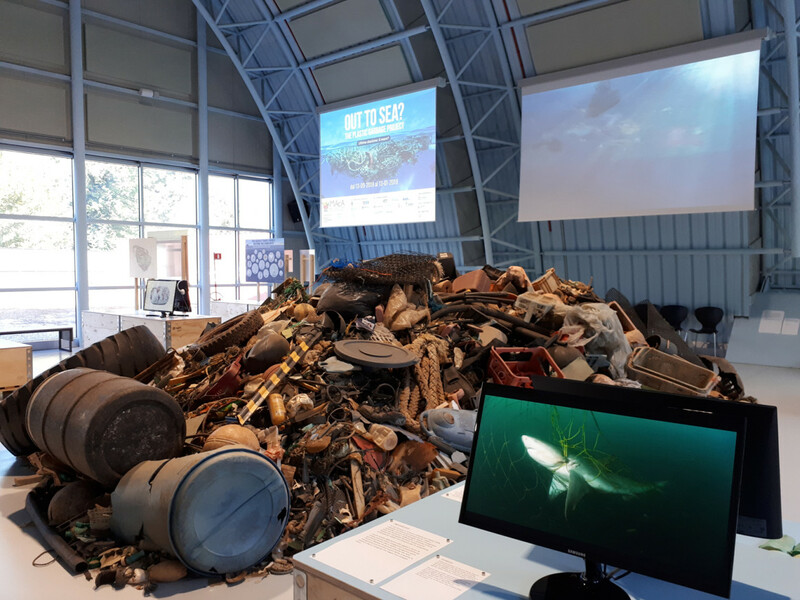 The updated exhibition will tour in more than 15 countries worldwide until the end of 2020. 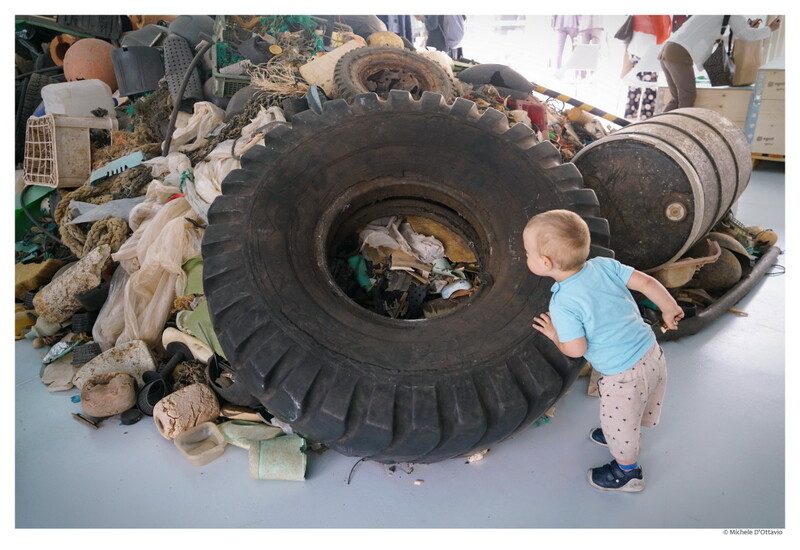 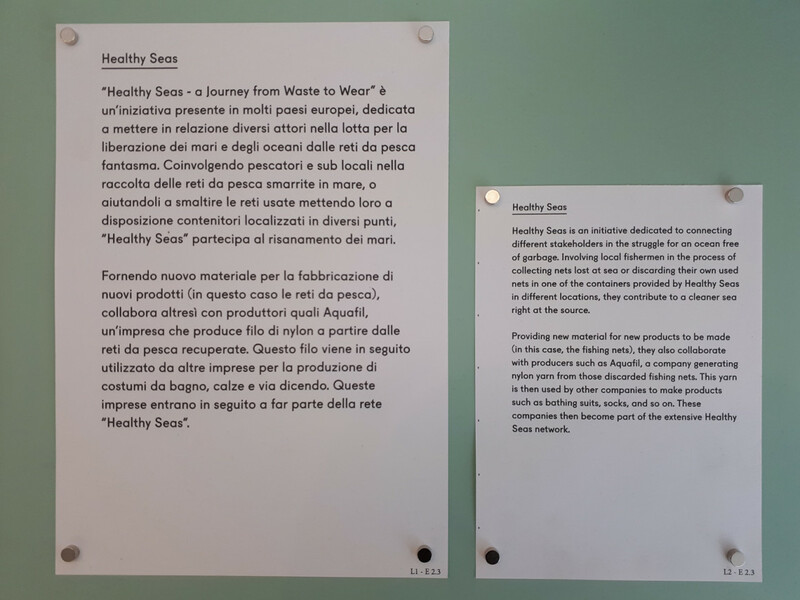 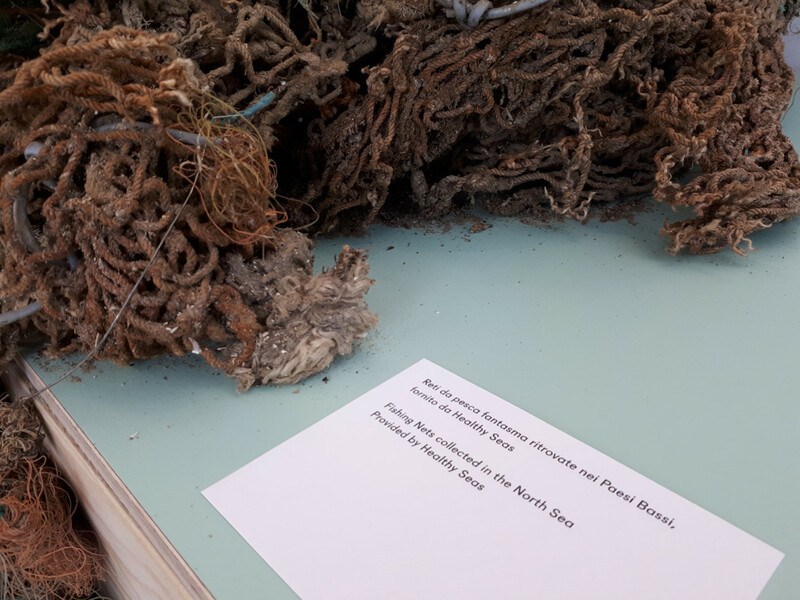 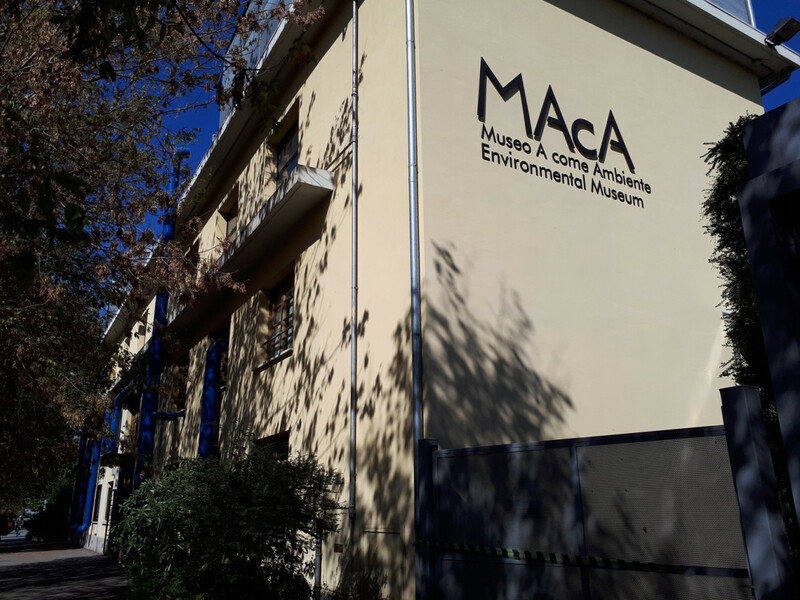 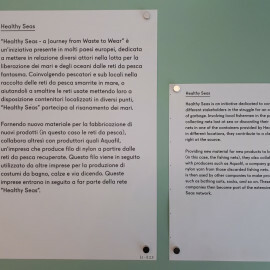 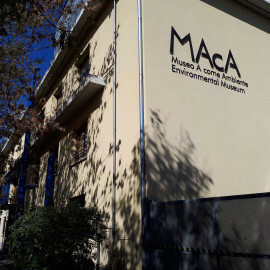 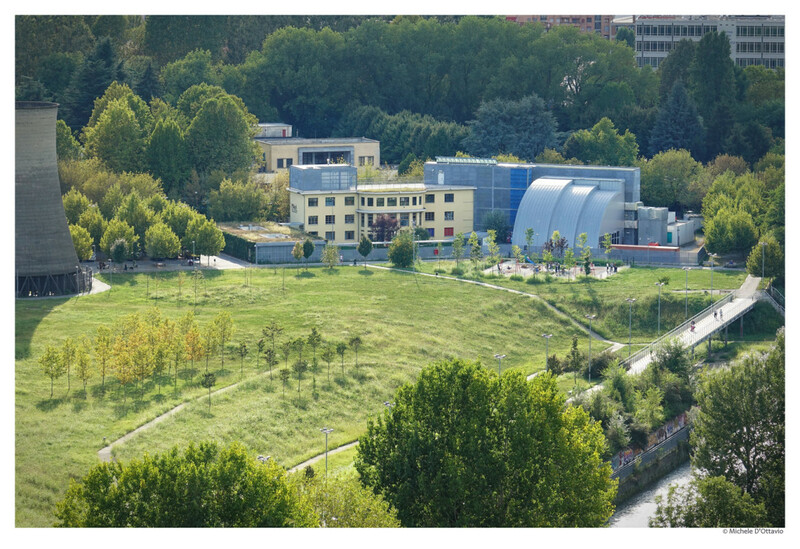 Recently, we had the opportunity to visit Museo A come Ambiente, the first and only museum in Europe focusing exclusively on environmental issues. 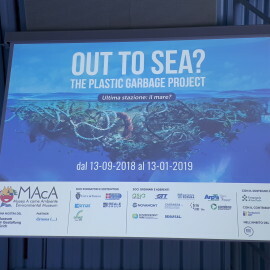 “Out to Sea? 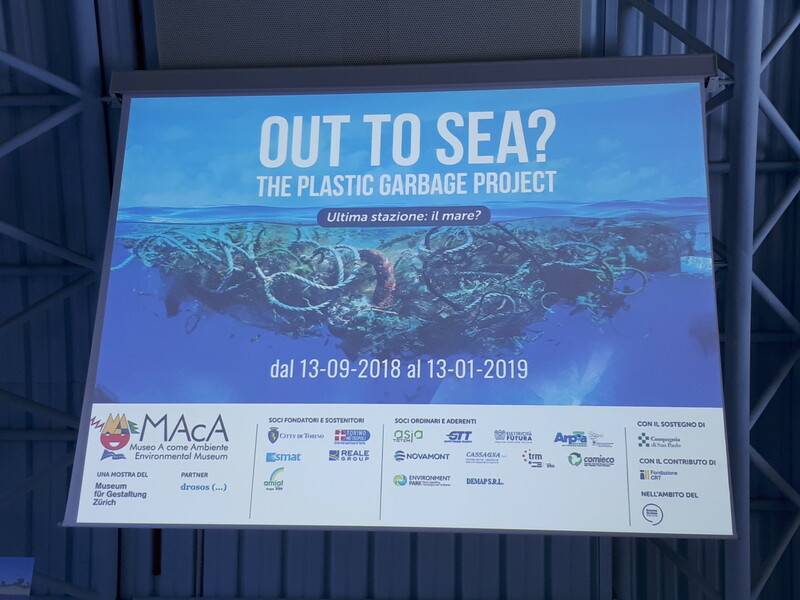 The Plastic Garbage Project” is there currently and being visited by schools and families from all over Italy. 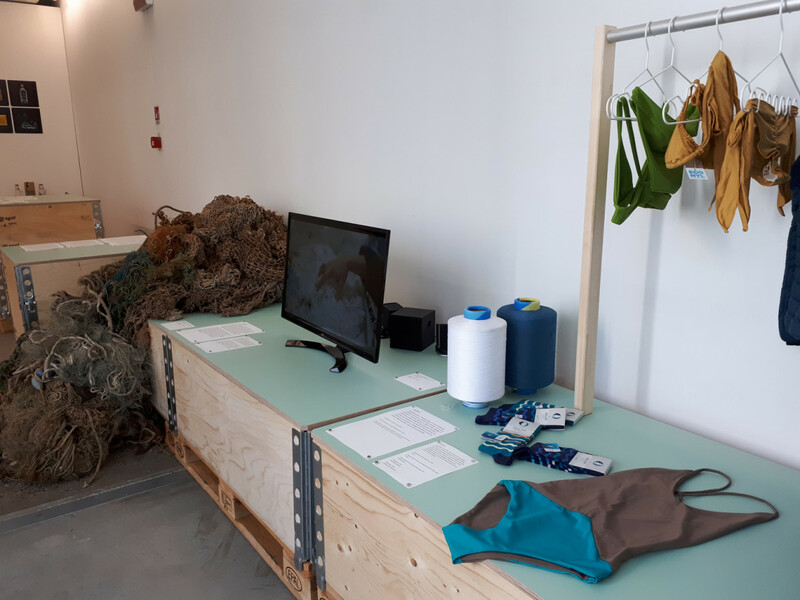 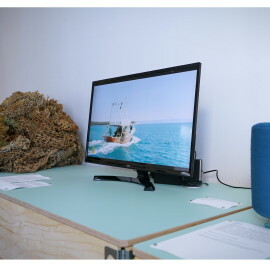 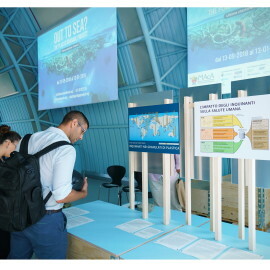 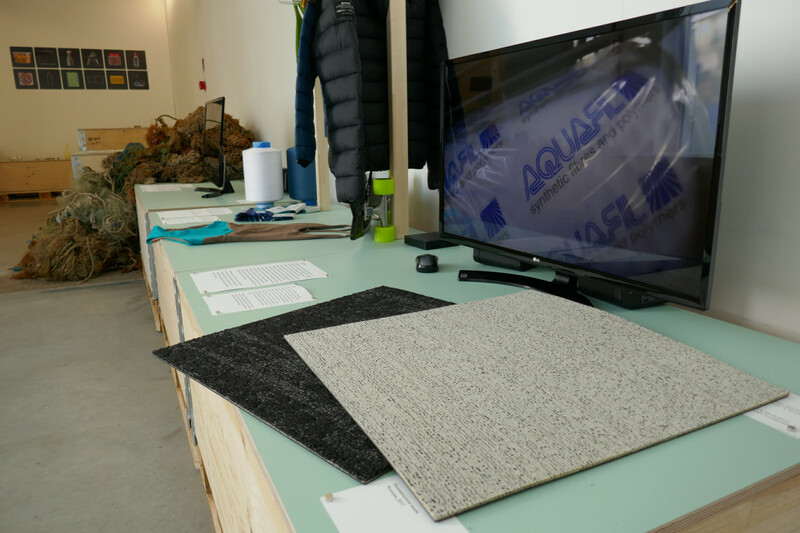 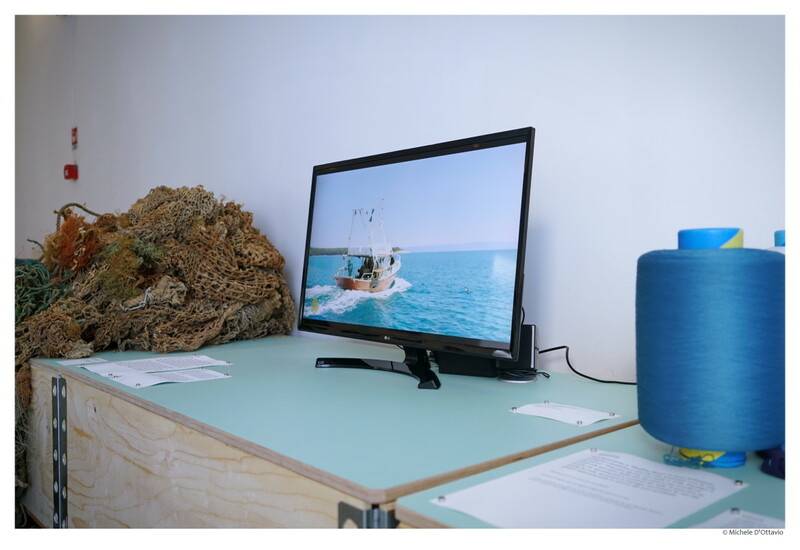 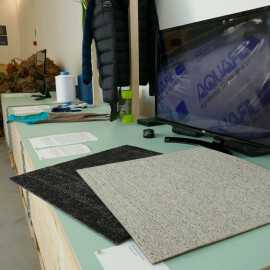 Many thanks to our partners Modulyss, Tarkett (Desso), Woodlike Ocean, SummerLove Swimwear and Aquafil (ECONYL®) who provided product samples for the Healthy Seas showcase. 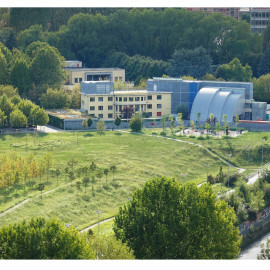 The Exhibition in Torino is open until 13 January 2019 and worth visiting by all generations. 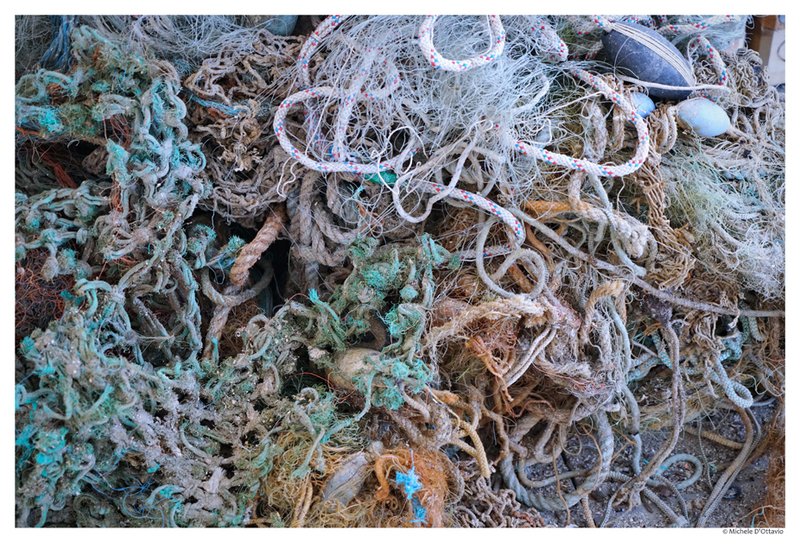 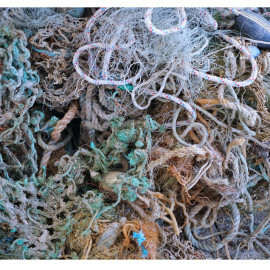 Share the post "Healthy Seas featured in the “Out to Sea? 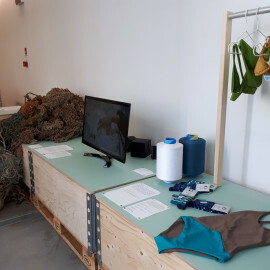 The Plastic Garbage Project” travelling exhibition"